What's the Difference Between Aluminum and Aluminium? Aluminum is the 13th element in the Periodic Table and one of Earth’s most abundant metals, and so is aluminium. What some might have assumed is a pronunciation variation of the same word is actually a case of two different words for the very same thing, and it’s all thanks to an indecisive 19th century scientist named Sir Humphry Davy. While Davy didn’t discover the element—Greeks and Romans used alum salts and in 1761, Guyton de Morveau suggested calling the mineral base alumine—he did identify the metal, and initially decided to call it aluminum. Fast forward a few years to 1812, when scientific colleagues of Davy’s started using aluminium, saying that it had a more classical vibe (reports suggest that Davy signed off on the shift). 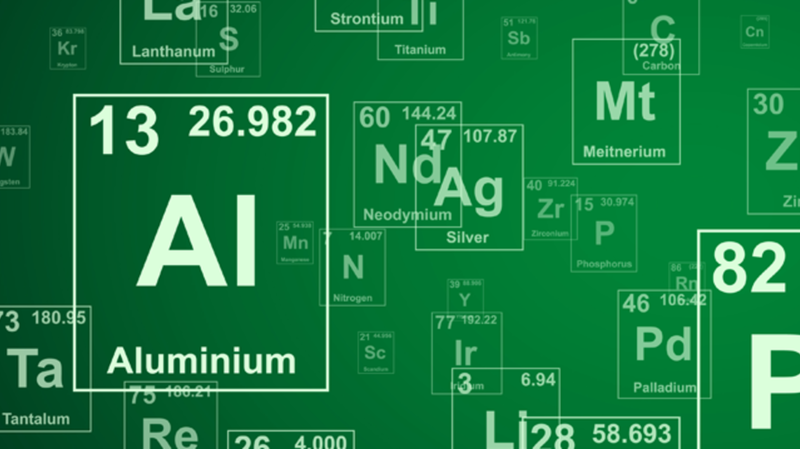 Aluminium, after all, is consistent with elements like helium, lithium, and magnesium (though platinum and tantalum are waving from the periodic table too). It wasn’t until 1827 that the element was actually isolated by Friedrich Wöhler, though Danish physicist Hans Christian Ørsted produced it two years prior to that, albeit in an impure state. As for why Americans have stuck to aluminum while the rest of the world adopted aluminium, well, the details are a bit murky. Noah Webster reportedly preferred aluminum and his 1828 dictionary contains the original spelling despite Humphry having changed it by then. Later in 1925, the American Chemical Society officially changed to aluminum and that likely solidified the divergence. Today, the IUPAC periodic table [PDF] uses aluminium,though if The Imperial System is any indication, it's unlikely that the world will become a unified state on the subject anytime soon.